Classical sailing instruments use numeric displays to provide those vital readouts that are necessary for sailing effectively. With the advent of affordable color graphics, that is changing. Instead of a screen-full of numbers, your current situation can be more effectively displayed on graphical sailing displays. This graphic can provide much more complete information and situational awareness at a glance than is possible by the interpretation of numbers. The start page focuses on the starting line and boat. The upper corners display information about the starting line – the two bearings, and the length in yards and seconds. Both tack bearings are also shown. 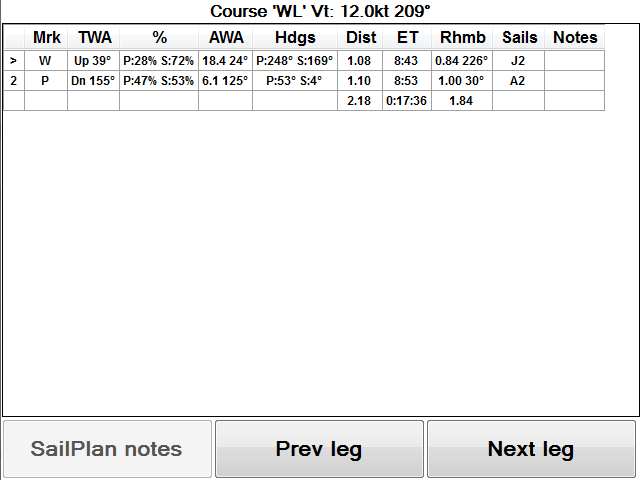 Favored end shows which end is favored and by how much (in seconds to windward). This number changes with wind direction and starting line bearing and length. 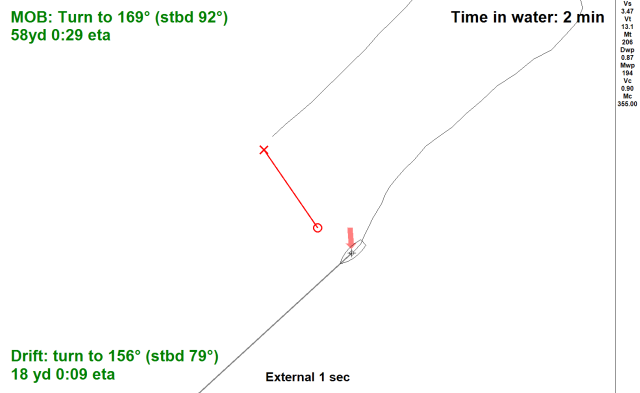 In the figure, the starboard end is favored by 3 seconds. But, the wind is currently right of average, so it will probably get smaller or switch ends. 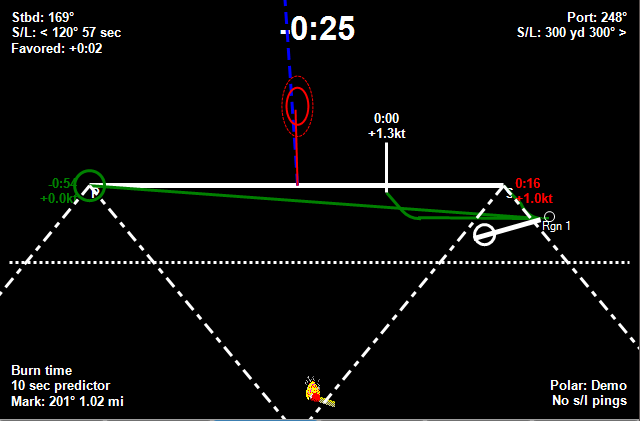 Overspeed line is the line above which it is possible to cross the starting line above target speed. 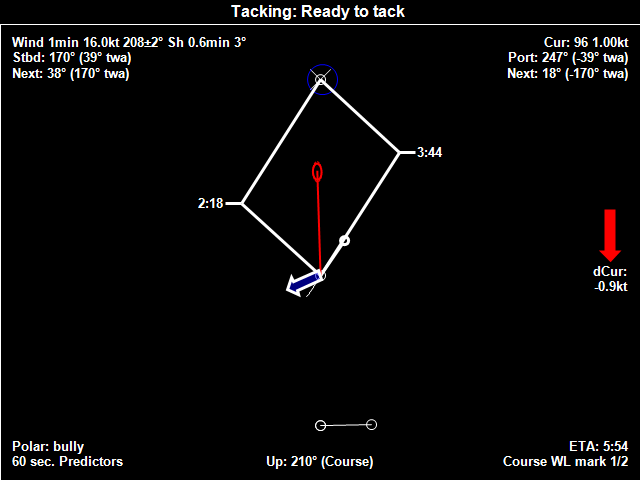 If you are running parallel and above this line at full speed, you will cross the starting line above target speed. The further you are above this line, the more you will be above target at the start. Predictors The flag and circle in front of the boat shows where you will be in 10 seconds at current speed, and at target speed. The predictor time is adjustable. Wind ovals The wind flag is encircled by two ovals showing the limits for true wind speed and direction. The solid oval is 66% of total wind history while the dotted oval is 100% of total wind history. From these two items, you can modulate your starting strategy based on the current wind. The wind oval is shown on several pages. Displays time to the laylines and wind variability data. You can display the current laylines (shown), or three layline sets where current is white, max wind right is green and max wind left is red. 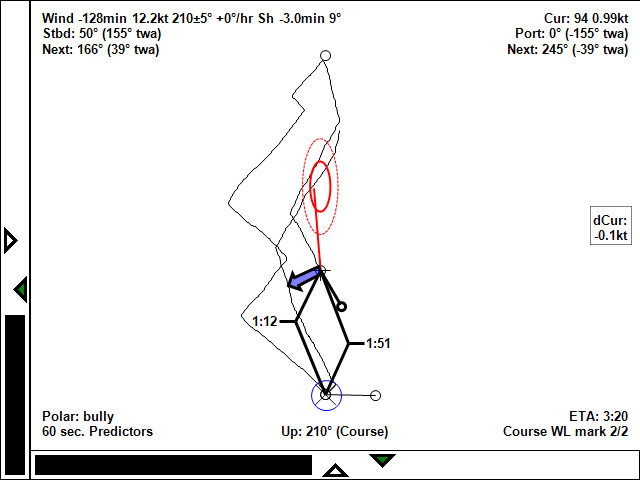 If you use the multiple layline set, you can tell how your current laylines are to the max left and right laylines. For more see Laylines. The wind ovals show the maximum and minimum speed and direction. The solid oval is 66% of total wind history, and the dotted oval is 100% of total wind history. This lets you judge where you are in the wind shift cycle. There is also a current vector (the blue arrow) and the ‘dCur’ arrow (red) which tells how much current is helping or hurting you. This feature is displayed on all navigational pages. OS5 charts consist of many small (256 by 256 bit) ‘tiles’ which are PNG files covering the United States. OS5 installs scale 5 covering the entire chart area. Refer to LoadingCharts for instructions on downloading charts for your venue. This screen displays your polar at the current wind speed. The objective is to convey the various options for getting where you are going faster than anybody else. 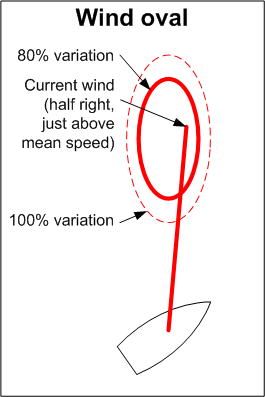 The current wind is shown as a solid arrow, while the average wind is an outline arrow. 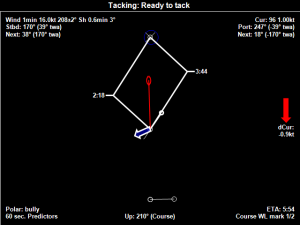 Target points are shown; conventional (vertical lines), Wally (circles) and Vmc to the current mark (square). Your current sailing point is shown as a moving blob. 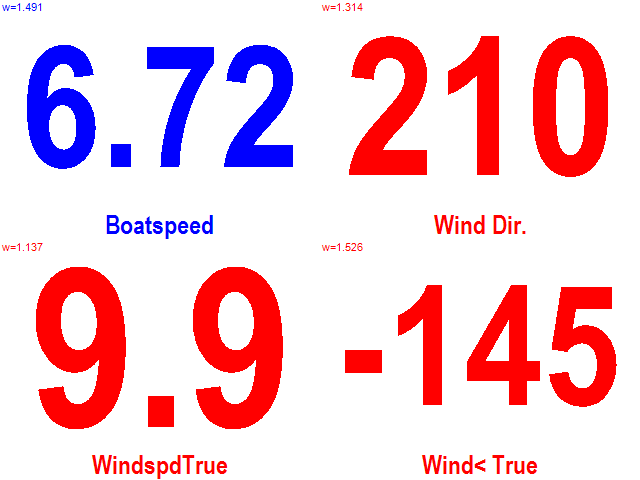 The numeric pages show readouts of instrument data. There can be from 1 to 10 items per page, and there can be multiple pages. Items are color coded to help distinguish one item from another. 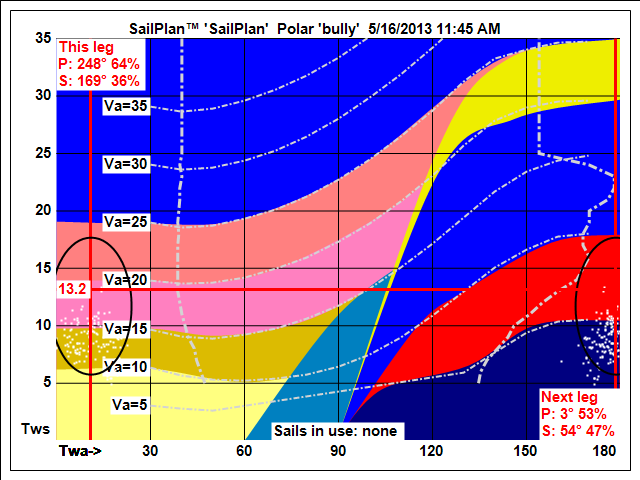 SailPlan™ crossover chart is a that is useful during a race to anticipate and manage sail changes. 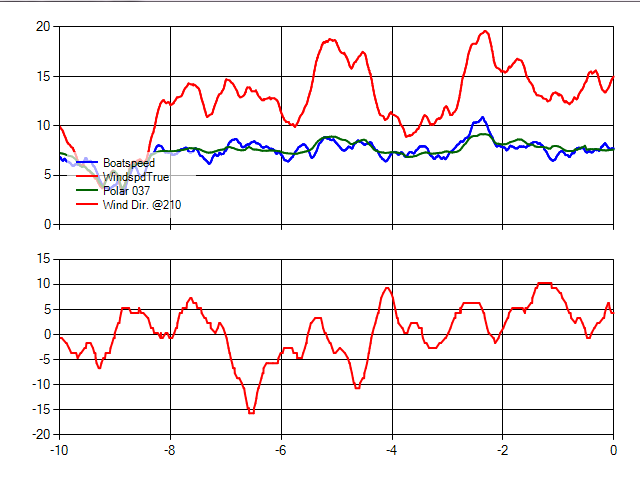 It shows wind strength and current and next leg true wind angles, with variability. The database is editable, and includes weight and in-use time. This page provides an overview of the entire race. 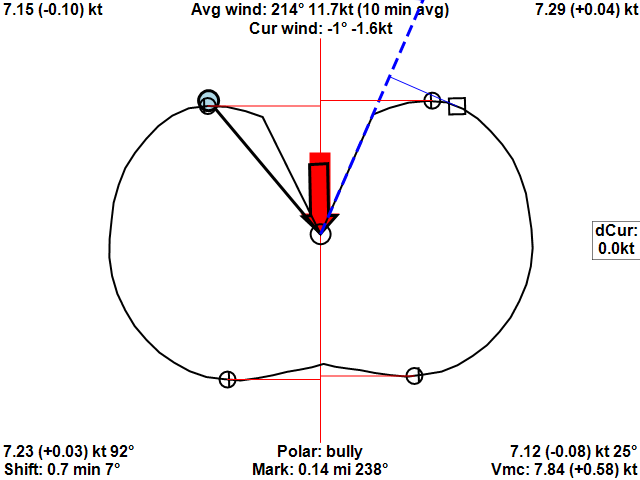 True wind angle to the marks, including percentage on each tack. 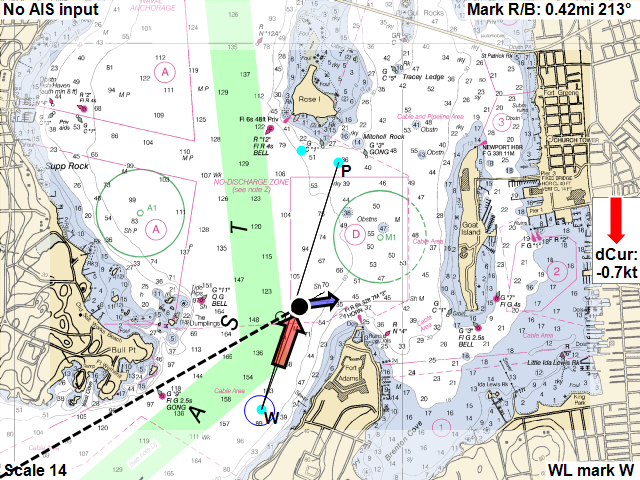 Course heading(s) and rhumb line. Displays time history of instrument data. 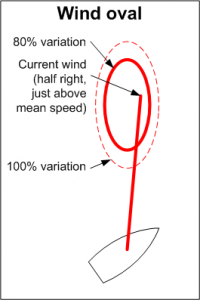 Useful for tracking wind variability. 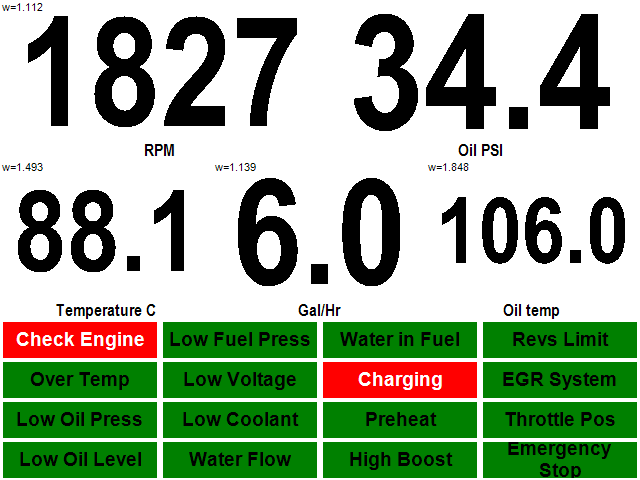 Provides engine information derived from a NMEA-2000 engine interface. 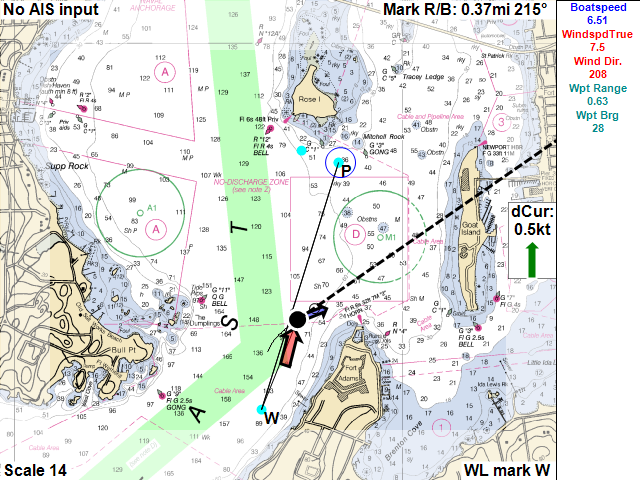 The Man Overboard function displays the overboard point and steering prompts. It also keeps track of the drifted position due to current. MOB can be triggered from the display, the OS5 driver, Lynx or the F8MOB remote trigger hard button. This is an optional window on the right showing numeric values of your choice. Number size and color coding can be set. This feature is controlled from Main setup with the “Sidebar” button. There are two steering bars available – Speed (on the left) and angle (bottom). The white diamonds are target speed and angle, and the green diamonds are Wally™ speed and angle. The angle bar is signed so if the markers are to the left of the bar, steer left (and vice versa). If you prefer wind orientation, upwind is the side the bar starts from. This feature is controlled from Main setup with the “Steering” button.